If they are the Aksium UST Disc, then no tape is needed. If it has tape, then the wheels are not tubeless, because Mavic only does UST where no tape is needed. Road UST is different than mountain UST. Mavic dumbed down the requirements for road UST (i.e., rims beds can have spoke holes and sealant can be required). I think I'm going to assume that the rims were taped with the correct Mavic rim tape. 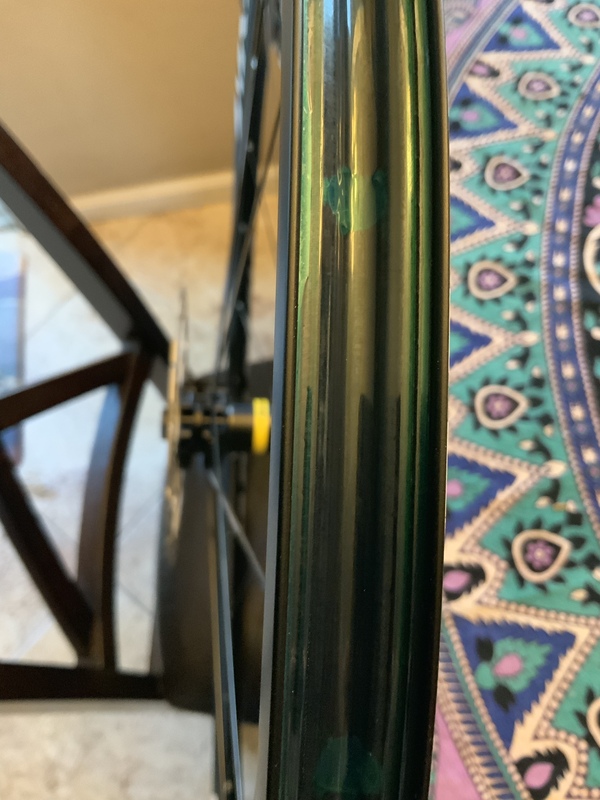 It's tape instead of a rim strip, it's green like the Mavic tape looks, and it's the proper width. And the tubeless Mavic tire can be removed and installed without tire levers! Last edited by mfdemicco; 01-23-2019 at 09:04 AM. Good choice on the 105! I have both a 5800 bike and a 6800 bike and can't tell the difference in shifting. They both shift flawlessly. $800 saved is $800 earned. Upgrading 105 to Ultegra: can I keep my 105 brakes? Shimano 105 components upgrading to shimano ultegra 6800? Shimano Ultegra SL Ice Grey 6600, 105 5700 or Ultegra 6700 Rear Mech???? Shimano 105 double cranks w/ 105 triple rear derailleur?